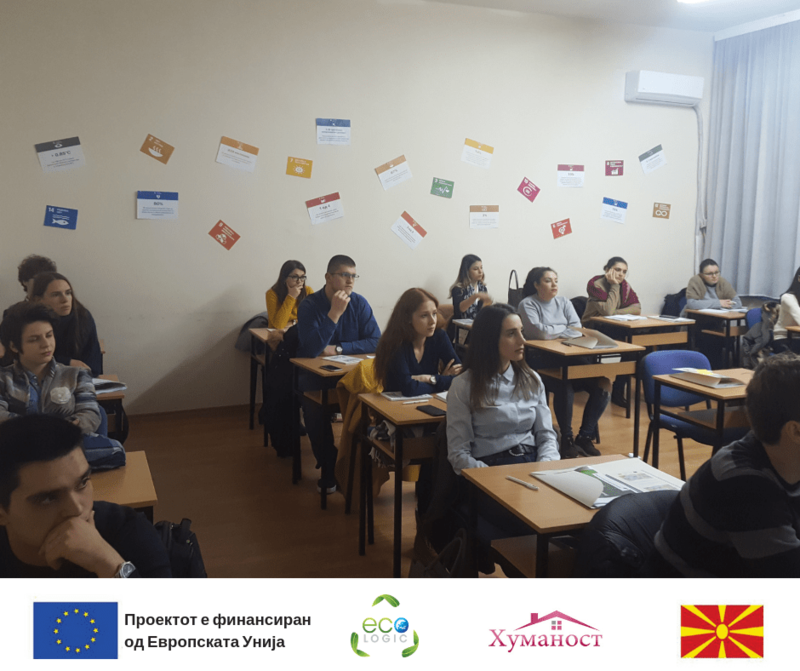 Our associate member Eco Logic started the implementation of the project ”Inclusive Labor Market for Sustainable Community Development”, financed by the European Union through the Sector for Central Financing and Contracting (CFCD) within the Ministry of Finance of the Republic of Macedonia. One part of the project consists of an educational program for Sustainability Adviser. Participants of the program will gain the necessary knowledge, skills and competences for analysis, planning and realization of the principles of sustainable development in a particular organizational unit. The program covers a theoretical and practical part of 245 classes. From these classes, 72 are for theory and 140 for the realization of a practical part in a public institution, small/medium or large enterprise or household, and finally 33 classes are for evaluation, including control tests, discussions and the final presentation of the case study. Through the first module the participants will learn about the definition, concept and the meaning of sustainable development, the Sustainable Development Goals adopted by the United Nations, the key national and international stakeholders, the three fundamental pillars of sustainable development. This in order to understand the basic principles of Sustainable Development, and to identify the key stakeholders on a national and international level. Through the second module, the participants will learn about best practices of developed countries for achieving the Sustainable Development Goals, the process of identification and extrapolation of trends get familiar with qualitative and quantitative methods for scientific prediction of sustainable development in order to successfully analyze global economic trends and implement appropriate methods for the prediction of future trends. 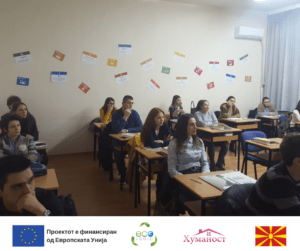 Through the third module, the participants will learn about the main elements and the fundamental frame of the strategies for sustainable development, the national strategy for sustainable development of the Republic of Macedonia, the sustainable development strategies of the European Union and other developed countries in the world. This will allow them to recognize the key implementors of sustainable development strategies on national and international level, and to analyze and discuss sustainable development strategies for a particular entities. Through this module, the participants will learn about the basic framework of the policies for environmental protection, cleaner production, energy management in order to successfully analyze correlations between different types of policies. 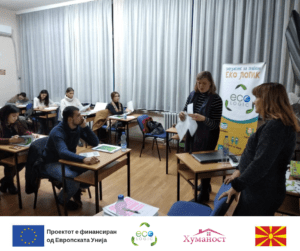 Through this module, the participants will learn about technologies and technological innovations for sustainable development in order to recognize the benefits of the implementation of eco-innovations and analyze the opportunities for implementation of eco-innovation in a certain product. Through this module, the participants will learn about different types of indicators for monitoring working processes. In order to successfully identify and calculate indicators for sustainable development in a particular entity, the module includes indicators for sustainable development from an economic, social and environmental aspect, indicators for technological development, and eco-indicators. Through this module, the participants will learn about the concept, methodology, and indicators for resource efficient and cleaner production in order to implement the methodology and the indicators in a particular entity and to propose appropriate measures. 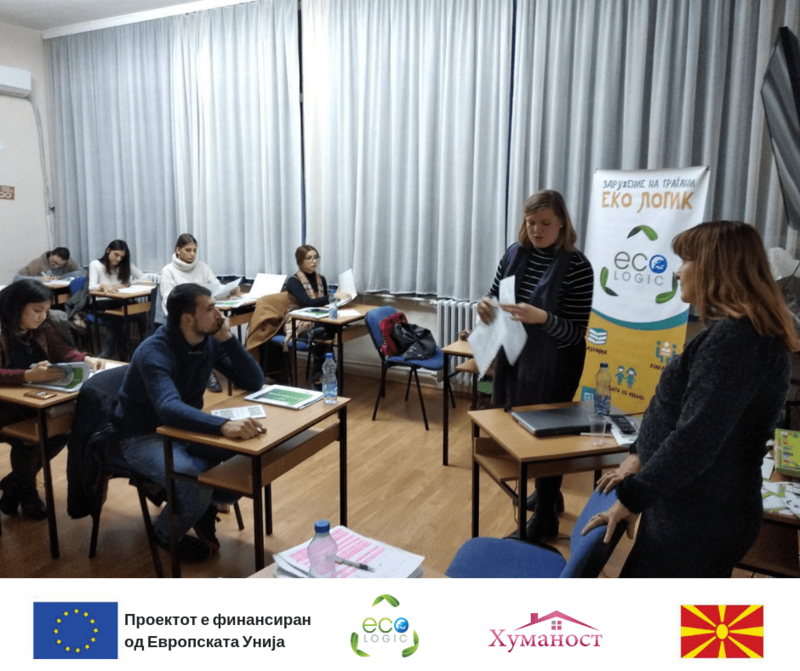 Through this module, the participants will learn about the fundamental principles and phases of eco-design, ecological characteristics of the materials and eco-modeling in order to advocate for use of materials and technologies that are environmentally friendly. Through this module, the participants will learn about and practically implement different methodologies for sustainable development including methodologies for planning and decision making, identifying main elements of the process of decision making, multi-criteria analysis, and multi-criteria decision making. 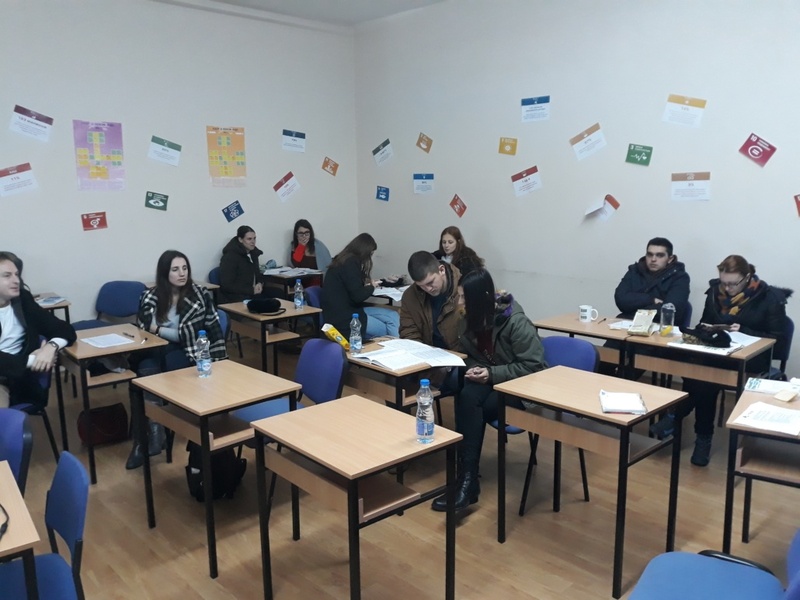 Through this module, the participants will learn about different tools for organization and realization of sustainable development in order to practically apply particular indicators, tools related with the implementation of sustainable development, and tools for progress evaluation and tools for decision making. 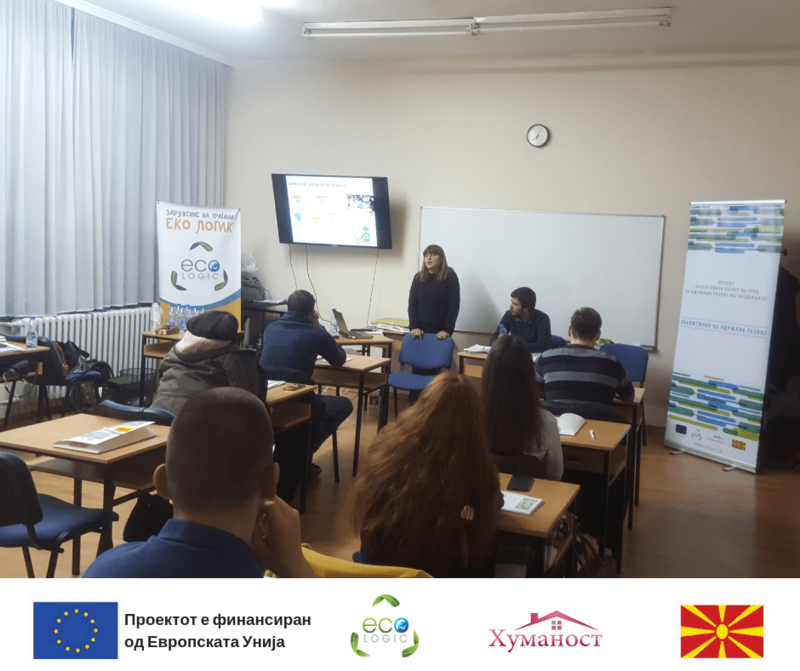 Through this module the participants will be able to identify significant consumers practices in households, to assess the energy consumption, consumption of material resources, water consumption and to analyze the disposal of waste in households and suggest appropriate measures for reducing the consumption in households. The participants will have to do a case study for a particular organizational unit or entity where based on analysis of the status quo they will have to identify and apply appropriate methodology and tools and will propose appropriate measures for achieving the sustainable development.